McDonaldland gets some flak for its suspicious similarities to the world of H.R. Pufinstuf, and alot of that flak is deserved, but at least there’s some charm and originality to McDonaldland that redeems the effort. 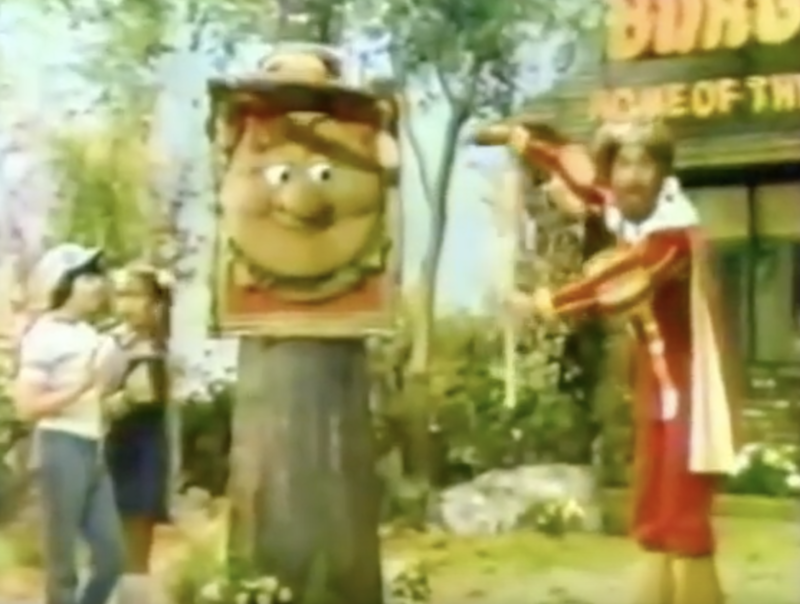 Burger King’s 1976 attempt to rip off McDonaldland, on the other hand… there’s no redemption here. 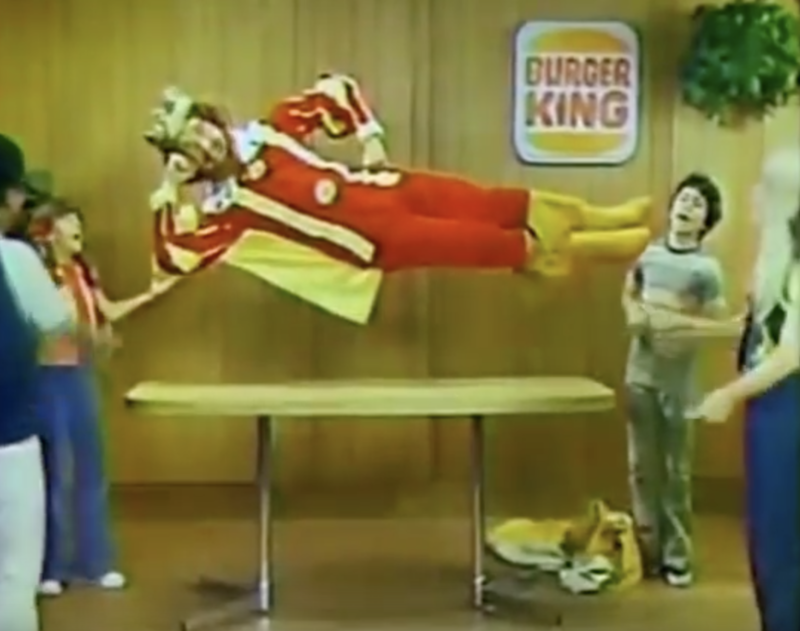 We’ve talked about the original Burger King mascot here before, that man who performs basic magic tricks for children in the lobbies of the fast food restaurants that bore his name. He’s the leader of the “Burger King Kingdom”, a realm that involves an underwhelming roster of supporting characters and also takes place in our world and also is barely magical. 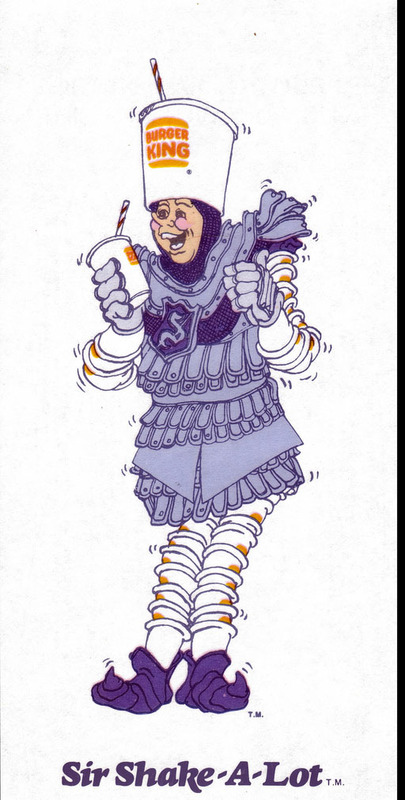 The Duke of Doubt is the main villain of the Burger King Kingdom. His power is…doubt. He doesn’t seem to cause any real trouble, doesn’t steal hamburgers or thwart plans or anything. He just doubts that things that are true are actually true, and is typically proven wrong by the end of the commercial. His catch phrase is “I doubt it!” Clever! The Burger Thing bears the worst name of the gang and has the appearance to back it up. He’s a giant Hamburger puppet with a disturbing human face and the voice of Frank Welker. Total nightmare. 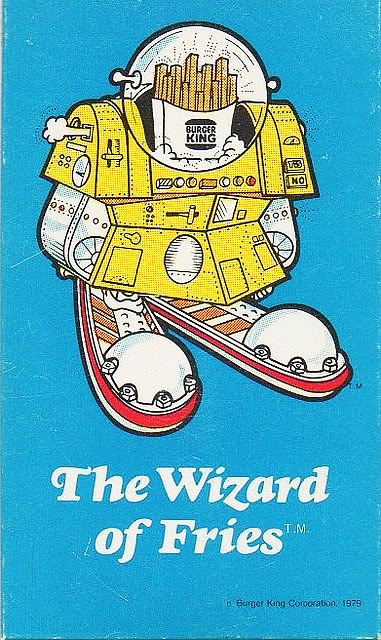 Lastly, the Wizard of Fries is….actually pretty cool. He’s a robot who can take one french fry and duplicate it endlessly. I will admit a certain bias toward McDonaldland; I was a McDonalds kid growing up, and I have a head full of fond memories of the McDonaldland gang in all of their various toy/cookie/playground-ride forms. I like to think that I can rise above this bias, however, look at the two realms objectively, and still say that the Burger King Kingdom is garbage. If you need specific evidence, look no further than the leaders of each realm. Ronald McDonald is a magical man, a clown being who can manipulate the world around him and travel seamlessly between his dimension and ours whenever the children of our world need him. 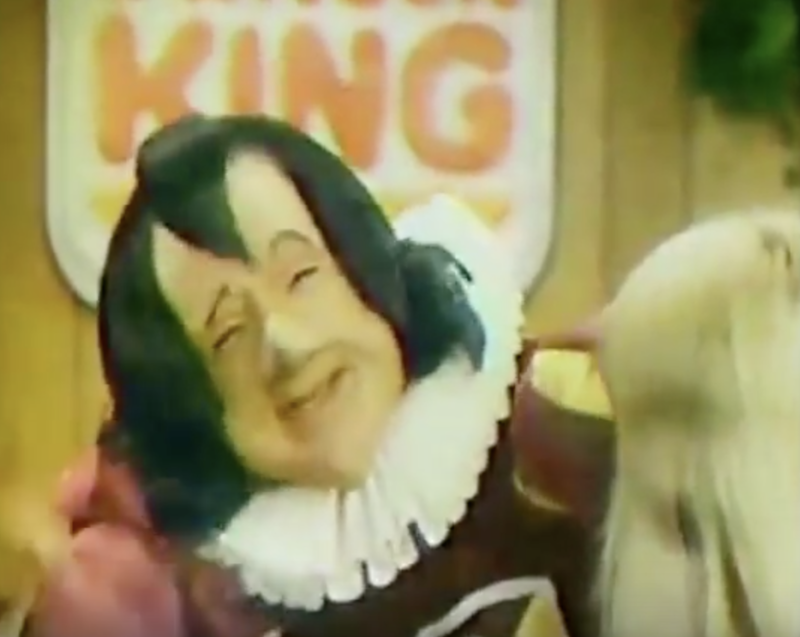 The Burger King is merely a man who knows magic, a man who lives in our world, apparently in our very country, yet declares himself king and attempts to impress us all with parlor tricks. One is a pale, pale version of the other. Here’s a string of Burger King Kingdom commercials. That robot’s pretty cool. This 1970s predecessor to Peanut Butter M&M’s was one of Wonka’s few chocolate efforts, few compared to what you might expect given the man’s, you know, chocolate factory. Oompas were half peanut butter, half chocolate, wrapped in a thin candy shell. The packaging was fantastic. They’d later experiment with fruit flavors instead of the chocolate and peanut butter, but the whole idea ended up being a bust. A spiritual sequel to the arcade and console megahit Skate or Die, this game tries to apply the grit and style of 1980s skateboarding to the less-popular-but-still-popular-but-not-really-gritty world of skiing. 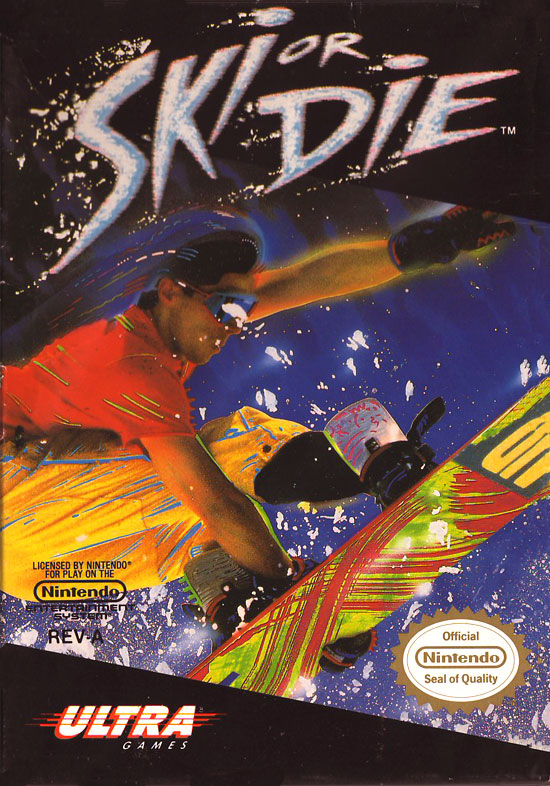 You basically did what you did in Skate or Die, just replace anywhere you would “skate” with the word “ski”. There was limited open-world interaction, mainly getting to and from events which were the real meat of the game. Radio Shack’s your place if you’re looking to pick up the latest Kingman, Zackman, or Alien Chase video games! 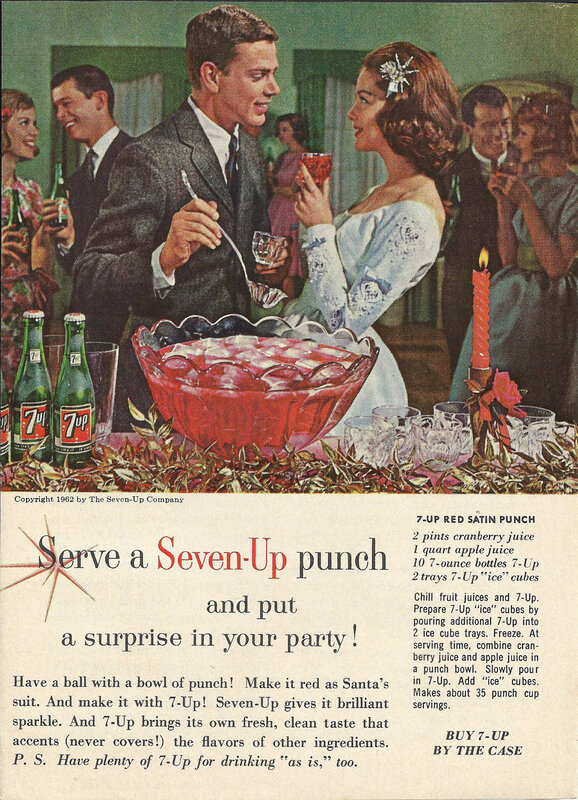 This recipe/ad for a Seven-Up punch is breathtaking.